Our family moved from yellow-skied New Jersey in the late 1950s to a Honolulu suburb. 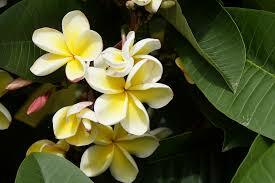 My dad planted a small plumeria tree with white and yellow blossoms. It shaded a bathtub-sized pond in the front yard of our Aina Haina house. Five goldfish lived there, darting near the lava rock edges. One was a bug-eyed black molly, the other four were orange or orange with patches of black and white. Paradise isn’t where you find it. It’s where you make it. If I opened the front door, the fish ignored me, even if I perched on the miniature waterfall to watch them swim. If I opened the sliding door immediately adjacent to the front door, the fish gathered at the surface in the center of the pond. They wriggled their tails and bubbled their enthusiasm. They’d learned to respond to the screech of the slider, and waited for me to feed them. The fish never tired of this trick and I never forgot how to play. Many years after we moved to California, my parents built their dream house on a hill in the heartland of Orange County. Dad planted a small plumeria stalk in the yard with a view to the Pacific. A view to Hawaii, if you could see that far. I think he could. Unlawful at the time to bring them to the mainland, he’d smuggled a foot long stalk in his jacket and flew it to California, beloved contraband for his garden. Twenty-five years later, it had grown as big as a school bus, a glorious sovereign of the yard. She graced us with thousands of coral pink blossoms, fragrance to make us drunk, and beauty to shame the roses. My sons played in the shade of the tree and collected fallen blossoms. They grew and the tree grew and our family grew and changed, as families do. The house is long sold, my father long passed. One of my sweetest mementoes is the lei he strung for me of those pink plumeria blossoms, the only lei my dad ever gave me. I wore it for a week until the petals drooped on their string. Now it’s a dried bundle in a ceramic pitcher. If I touch the browned and brittle leaves, they break off in chips. Neither tape nor glue can repair my clumsiness. I’ve learned to look but not touch. The new owners of the Orange County house cut down the pink plumeria tree. Fools. It couldn’t have possibly interfered with their view of Hawaii. You must have imagination to see that far. Writing is as much fabrication as memory. This story is true. As for my other stories, you’ll have to guess. I never tire of keeping secrets. The Poisonwood Bible by Barbara Kingsolver captivated me from the prologue where a mother traipses through an African jungle with her four young daughters. Orleanna Price, the wife of a zealous Baptist minister from Georgia, knows she is an oddity, a white woman in a Belgian Congo village in 1960. She seems to be speaking from a distant time and place, perhaps from her own grave. Her gimlet eye sees the jungle with its voracious ants and fecund flora, but more, she sees her internal life riven with conflict, acquiescence, and inadequacies that have cost her most dearly. If Orleanna is quiet and submissive to her husband, it is he, Nathan Price, who is loudest and most obstinate. Intending to convert the native Congo inhabitants, he attempts to convince them of Christianity’s truth by pointing to the Bible and describing it as bangala, a Kilanga word he believes to mean “precious.” But his pronunciation is incorrect, and thus he declares the Bible to be “poisonwood.” It’s just the beginning of everything he gets wrong about Congo, from the language to the people to the customs to how hungry the community is to the coming revolution that will jettison colonialism in the Congo – and will alter his family’s course, one by one. Yet Nathan listens to no one and his obdurate convictions have catastrophic consequences for everyone. Along with Orleanna, the four daughters tell the stories of their lives in Africa in alternating chapters. Rachel, the oldest at fifteen, the most beautiful and the most materialistic, is also cynical, selfish, and mixes metaphors hilariously. She yearns to be a normal teenager, something not possible in a jungle. Yet as an adult she carves out a unique livelihood managing a deluxe hotel in the French Congo, albeit with a bit of dishonesty, forgoing the luxurious American life she once imagined. Leah, fourteen, is hard working, a natural leader, and a fearless idealist who most shares her father’s religious passion. She relishes education and especially Anatole, the man who is her teacher and whom she will marry. She is the daughter who becomes part of the fabric of Africa in the most authentic way, by moving with her husband and their four sons to Angola. Invigorated by a vision of a just society, she and Anatole help Angolan citizens reclaim their heritage and their country. Adah cites her twin Leah’s dominant personality for stealing more than her share in the womb, leaving Adah to be born mute and crippled. Because she does not waste time trying to vocally describe what is happening around her, she is a brilliant observer. Adah returns to the United States, is healed of both her infirmities, and becomes a dedicated physician who studies viruses, an apt occupation for someone influenced by early life in Africa. She is the one who comforts Orleanna in her mother’s old age. Ruth May at five is the baby, adorable and wise beyond her years. She makes friends with the tribal children, teaching them to play Mother May I, a game that becomes a plaintive elegy toward the end of the book. Ruth May is beloved by everyone in Kilanga, but it is her fate that turns the family inside out, that shows Nathan how much he has failed, and that destroys his mission to Congo. The story exposes how completely wrong the Western world has been about Africa. From misunderstanding its rich language to its beguiling and sometimes horrific customs to assuming the indigenous people are bereft of intelligence or self-determination. Nathan of course is symbolic of wrong judgments at every turn, yet Kingsolver’s masterful writing prevents him from being a one-dimensional cartoon. However inappropriate his agenda for Congo, he is sincere in his faith and in his quest. We weep with him when he realizes he has failed to baptize his youngest child, but we do not mourn when we learn of his death. Of my many favorite quotes, I begin with this from Orleanna: Some of us know how we came by our fortune, and some of us don’t, but we wear it all the same. There’s only one question worth asking now: How do we aim to live with it? From Rachel: I shut my eyes tight, but even so, the tears ran down. I wept for the sins of all who had brought my family to this dread dark shore. From Leah: Our journey was to be a great enterprise of balance. My father, of course, was bringing the Word of God – which fortunately weighs nothing at all. From Adah: It is true I do not speak as well as I can think. But that is true of most people, as nearly as I can tell. From Ruth May: If somebody was hungry, why would they have a big fat belly? I don’t know. Each of these quotes, all of them early in the book, exposes a significant part of this multi-layered story and also reveals the personalities of the speakers. What moved me the most was how arrogant and assuming Nathan Price was, as well as a few other white people. Though some of the Congolese were confrontational or untrustworthy, as would be some people in any given population, this is their land. The richness of their culture sustains them even in hard times yet Price sees them only as ignorant folks who need agricultural education and Christianity to better their lives. He is unable to understand that what they need is nothing he has to offer, but freedom from a dominating and patronizing European government. It is a long story. My regret is that I came to the end of it and had finally to say good bye to the country, to the Price family, and to the Africans who peopled the land. Do not think I have already told you the whole story. I have told you nothing. 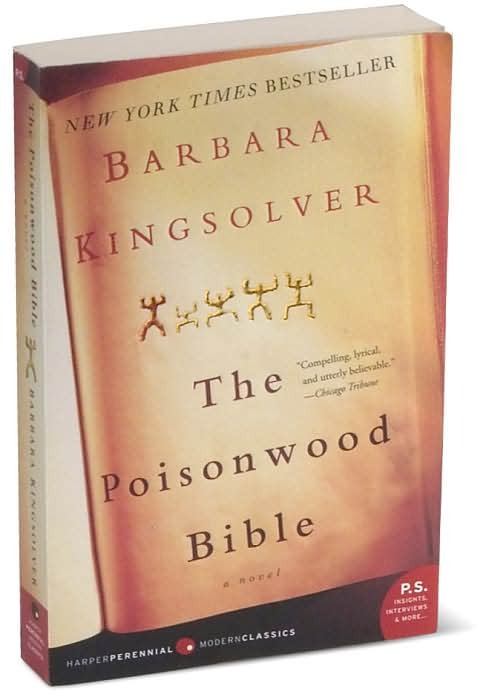 Only Barbara Kingsolver can tell you the story of The Poisonwood Bible. Make yourself comfortable, open the book, immerse yourself in its pages. Read. I look forward to learning about your favorite P fiction books. As promised in my June 9 post, I’m presenting a nip of The Milkman’s Horse, my newest WIP. It’s an exciting undertaking for me, and the provocation for the book is the stories my parents told. Most of us hear stories from our parents about who they were before we were part of their lives. My parents told me the first story – about where I came from – before I turned three. I believed them at the time but that was before I learned enough about human biology to realize they were fibbing, just a bit. They told me they’d found me in a cabbage patch. They didn’t of course. They’d actually found me at Thomas Jefferson University where my dad was studying to become a physician – in the lunch room where he picked up the wrong brown bag and found me instead of the sandwich he expected. At least that was a story I could swallow. The next story also concerned human biology. We lived in Hawaii then as dad interned at Tripler Army Hospital. Mom was pregnant with their second child. I was a very curious four-year-old and I wasn’t going to buy that cabbage patch story a second time. So for her next performance, she told me about a little door in her tummy where the baby would come out. A mysterious opening, sorta like the tiny caves carved into every mountainside that we saw when driving around Oahu. My parents said they were inhabited by Menehune, the mythical island pixies who hide from everyday folks. I stretched my neck outside the car window each time we spotted a cave, hoping to see a Menehune. The fact that I never saw one was proof enough for me of their existence. I wanted to see the door in my mom’s tummy immediately. She denied me but later went to the hospital in the middle of the night and came home with a tiny red squalling baby brother. I didn’t trust either of my parents after that. Door in her tummy – give me a break. He’d been left by the Menehune. Maybe my distrust of their inception stories is why I didn’t listen very well to the rest of their stories. I was already jaded by the unreliability of their narration. Over the next eleven years they shared a few more stories, each of them choosing moments to tell me something about their parents and grandparents and themselves. After wondering where we come from, probably the next most important story is the one about how our parents met each other – so they could then go off exploring to find us kids. As teenagers my parents lived in Trenton, New Jersey. My mom, “Naomi,” was the youngest daughter in a family of seven kids. She was best friends with “Evelyn” who came from a family of five kids. Naomi and Evelyn belonged to the same temple youth group. The girls arranged a double date. Naomi would go out with “Alexander,” Evelyn’s oldest brother. Naomi’s big brother, “Sammy,” would date Evelyn. That’s where the story ended. I asked many times where they went, what they did, when did my parents realize they were in love, and I was always met with the same foggy answer. Mom couldn’t remember the details. All she knew was that Evelyn and Sammy never hit it off, but my mom and dad had found their life’s mate in each other. They were married 63 years until my dad passed away six years ago. Last week I spoke on the phone with my Aunt Evelyn – who told me that the double date never happened at all. She’d never dated any of my mom’s four brothers. How could this be true, I wondered? How had my mom told me so often the story about how she and my dad met on a double date with siblings, yet it had never been true? Thing was, she had not been trying to pull a cabbage leaf over me. She absolutely, 100% believed that she and my dad double dated with his sister and her brother. I’m disappointed to know that the double date story was a fabrication. I’ll never know the true story. Evelyn doesn’t know how my parents met or where they went on their first date. My mom now has Alzheimer’s disease. The most horrible thing about Alzheimer’s is everything. It’s a disease whose victims die twice, once from their life when well, another from the life after the onset of the illness. The loss of dependable communication assures that my mom is an unreliable narrator. However questionable her recall ability decades ago, she now has no memory left at all. I may as well start searching through old lunch bags for the truth of my parents’ story. I lived in New Jersey through my elementary school years, and all my family was born there or just across the Delaware River in Pennsylvania. Nearly all of my generation still live along the East Coast. Other than my parents who wandered with us kids about as far as we could, from Hawaii to Alabama and back to New Jersey, again to Hawaii, eventually to end up in California, only a few members of our sons’ generation also now live on the West Coast. Aunt Evelyn disclosed that my dad’s family, who lived for a time in Lambertville, New Jersey, worked at the same period in New Hope, Pennsylvania. My dad delivered groceries on his bike for his dad’s mom and pop market. I always knew about the grocery delivery service but not that the store was in New Hope, which was my most favorite place to visit when I was a kid. I loved the town’s art vibe even at a very young age. There I was in New Hope, seven, eight, ten years old, eating handmade stuffed knishes*, thinking I was in Lambertville. They’re both charming artist colonies spread along the Delaware River across from each other, the river that separates NJ from PA. My dad’s family traveled between them every morning, driving across the bridge to Bonin’s Market and then driving home each evening. My dad delivered groceries to a famous artist; now I have a better chance of figuring out who the man was since he lived in New Hope, not Lambertville. Cool, yes? A photo on Wikipedia shows the green steel bridge built in 1904. How did I not see the bridge we crossed when I visited? A child’s limited view from the back seat of a car, I guess. I went searching for confirmation of the few stories my parents had told me and discovered most weren’t true. 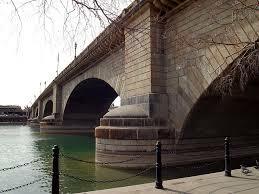 But I found the famous bridge over the Delaware and rebuilt a relationship with an elderly aunt whom I’d loved when I was a kid. I may never know the truth of those early stories but I learned that families survive all kinds of experiences. As for The Milkman’s Horse – I’d always intended it to be a series of loosely connected stories based on a few true snippets I’d heard in childhood. Thing is, truth depends on one’s state of mind. Now I know where I get my storytelling instincts. Sadly, I can never tell my mom how alike we are – she can’t understand such complex thought. Stories communicate ideas between people, bridging unknown worlds. Alzheimer’s has made communication a strange vacancy for my mom, a gap she can no longer bridge. *My grandpop’s knishes were baked dough balls filled with savory concoctions of potatoes and onions or onions and ground meat. Best thing in the world to satisfy a hungry kid. My parents, especially my mother, told me stories about their families when I was growing up. Stories about them when they were growing up, and stories about their own parents and extended family. I wish I’d listened better. I wish I’d remembered more. I wish could now ask them if I’ve remembered correctly and to fill in the details. How ironic that just as I wanted to know more about who they were before I’d ever met them, they were both gone. My mother was diagnosed with Alzheimer’s disease ten years ago, though I’d figured it out at least four years previous to her physician’s declaration. Six years ago my father died, and it became necessary to have my mom placed in a memory care residence. For the next eighteen months, as my mother and I struggled to construct an entirely new relationship based on her awareness of her illness, her widowhood, and my new position as her durable power of attorney, I also tried to help her resurrect her life’s memories. My father is gone in fact; my mother now lives with a brain so fractured that she cannot remember anything that happened even one minute before. My opportunity to question her about her childhood is long past. Most of us know ourselves through our direct memories of the events that impressed us as we grew up as well as through the stories that other people tell about us. At dinner this past weekend, I told a sweet, funny story about our son to his children. Our son didn’t recall the event from his own personal memory, as he would have been too young to have it impressed upon his experience memory. But he’d heard the story before and remembered earlier tellings. No matter how many times I tell him this story, I can’t force the original incident into his own memory for him, I can only reinforce that he’s heard me tell it before. As my adult children age and my grandchildren grow up, I realize the old family stories only I know are going to be lost. In fact, the incidents my parents told me so long ago are glimpses into lives so distant that their lifestyle is recognized as being archaic and quaint. My grandkids, for instance, can’t imagine a time when everyone didn’t carry a cell phone. I’m not even certain when my parents’ parents would have gotten the first phones in their homes, but it’s a safe bet my parents would have ecstatically celebrated those old phones getting installed into their childhood homes when they were very young. I can only guess about the telephones, however, because neither of them ever told me about a time when their families might not have had a home telephone. In fact, it’s very possible that both of my parents had telephones in their homes even before they were born. I know this because I looked up the development of the telephone on the Internet and discovered that phones were relatively common household appliances in the 1930’s when both my parents were kids. 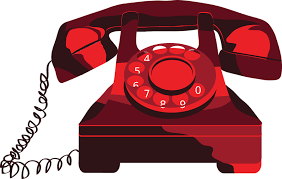 I remember from personal experience the telephones that were installed in our home in Trenton, New Jersey in 1954 because no one else was fortunate enough to have six phones with their own phone numbers. We were a very unique family. My dad was a physician, just starting his first private practice after two years of internship in Hawaii and Alabama. We’d “come home” to Trenton where both parents had all their family members living nearby. My dad’s conducted his first medical practice in a section of our two-story Dutch Colonial house, converted to waiting, x-ray, and examining rooms, and my dad’s office. We needed two phones because one had to be dedicated to his medical practice, but the technology for putting more than one phone number on one device didn’t yet exist. In our kitchen, the two phones sat side by side, one for our family and one for my dad’s practice so patients could reach him in an emergency any time of day or night, 365 days a year. Also for non-emergencies, but that’s another story. The double telephone system was also installed in my parents’ upstairs bedroom and of course in the medical office. I’m the only person left who remembers the wonderful day those phones were installed. My brother was too young to know how extraordinary our situation was, my sister wasn’t yet born. With my father gone and my mother’s disease having long savaged her memory, only I recall the splendor of those two machines. None of the other kids at school had two telephones in their homes, plugged in side by side, with two different phone numbers, and in fact, we had six! I memorized the two phone numbers, one for our family of course, and one for my dad’s medical office, which I was never supposed to use unless no other adult was near enough to answer. I can no longer remember the numbers but they were something like: MA (for Maple) 2-5873. Some folks still had party lines, phone lines they shared with neighbors, where they could rudely listen in to someone else’s phone conversation and save a few bucks of monthly phone service for the risk of no privacy. The few times I answered my dad’s office line, I used the professional voice and demeanor I’d practiced for just such an occasion, “Hello, this is Dr. Bonin’s office, can I help you?” I learned to write messages from people in distress, to get their names spelled correctly, to copy down their phone numbers, and to promise them I’d have my dad call them as soon as he came home. Big stuff for a six-year-old. Strut worthy. I saved lives. OK, maybe not, but I saved messages from patients. Many families today don’t even have a land line. Instead, every member of the family has a cell phone with more technical intelligence than the space ship, Explorer 1, launched on January 31, 1958 from Cape Canaveral. In the mid 1970s, the early days of mobile phones, owners looked exclusive walking around holding devices about the size of a quart milk box, yakking important information about plane flights and dry cleaning. Then phones became as small as a credit card, easily concealed and imparting status to folks planning dinner dates. Now they’re larger again but no thicker than a knife blade, and loaded with enough technology to sustain a computer, music, shopping, games, GPS, movies, TV, personal calendar, Internet access, reading apps, a camera, and a – wait for it – cell phone. Sixty years after the installation of the six amazing, modern phones in our home, and today most people no longer need anything so clumsy and old fashioned. Archaic and quaint in less than a hundred years. Of course, no one talks on their phones anymore – they text. Too often while driving and ignoring present company. Here it is – my first memoir, written down for grandkids, friends, and total strangers, now made laughing friends. In my next post I’ll tell about the newest novel I’m writing, inspired by my parents’ memories.